Berkshire Aerial Services - TV Aerials/Satellite Services based in Slough, Berkshire. Hello! 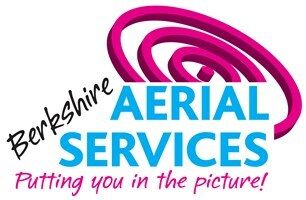 Berkshire Aerial Services is a professional family run business based in Berkshire. We’ve been serving Berkshire and the surrounding counties for over 50 years. We pride ourselves on the personal service we provide and treat your home with the respect we would our own. We’re proud of our excellent reputation for great customer service and expertise. Check out our reviews to see what our customers are saying about us or simply search for us on Google to read reviews. Your satisfaction is crucial to us and you might find it reassuring to know that we work with some of the major property management companies locally who have come to learn that they can rely on us for a speedy and cost-effective service. We work within Berkshire, Buckinghamshire, Middlesex, South Oxfordshire, West London, East Wiltshire, Surrey and North Hampshire. For a more accurate coverage map, go to our website homepage.